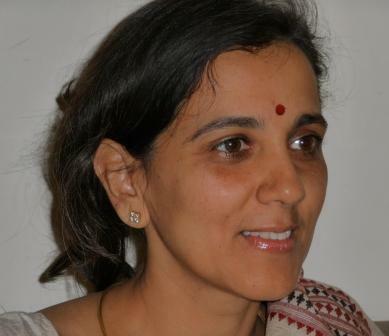 Rohini Somanathan is a professor of Economics at the Delhi School of Economics. She received her PhD in 1996 from Boston University and held faculty positions at Emory University, the University of Michigan and the Indian Statistical Institute before joining the Delhi School of Economics in 2005. Her research focuses on how social institutions interact with public policies to shape patterns of economic and social inequality. She is particularly interested in exploring the intellectual and ideological environment within which state policy is created and justified. Within the broad area of development economics, she has worked on group identity and public goods, access to microfinance, child nutrition programs and environmental health. As part of her professional and other activities, she is on the Executive Committee of the International Economic Association, on the governing body of the Indira Gandhi Institute for Development Research and a trustee of the NGO SRIJAN. She has also been part of the annual consultations on the Budget in the Ministry of Finance in India.